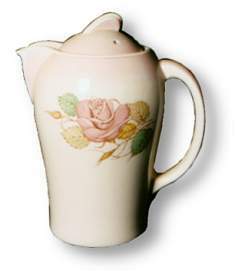 patterns marked with a * require further research, but are thought to be Patricia Rose or are closely based on the pattern. 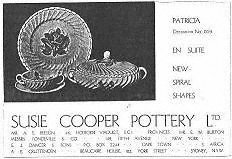 A 1938 advertisement from the Pottery Gazette and Glass Trade Review shows Patricia on the New spiral shape, also launched in this year. See our advertising feature for a larger image.